Here is an effective Dime personnel pressure package from Chris Womack Defensive Coordinator at Lakeshore High School in Mandeville, LA. I had a chance to sit down and talk ball with Coach Womack this summer. He is an excellent coach and I asked if he would write an article. He wrote this article right after spring football but it took until now for me to get it up on the website. Lakeshore is currently 12-0 and still going in the Louisiana playoffs. Thanks again to Coach Womack for an awesome summer chalk talk and this article. Guy is a good ball coach. Enjoy! We are just finishing up our 7 on 7 season here in Louisiana. 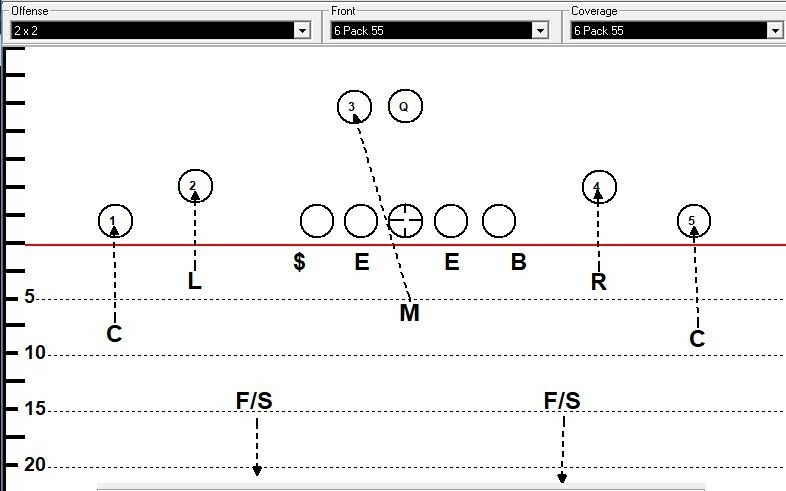 Many offensive coaches complain that they never see 2-man coverages in the regular season. However, we do run a situational dime package and it has been quite successful over the years. 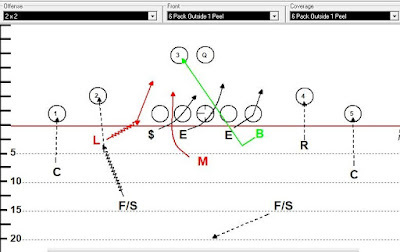 Here is the Basic Dime Personnel Package with 3 simple blitzes that we installed at the high school level. In our spring game versus Holy Cross of New Orleans, we had 3 interceptions and a pick 6 in this package. We play a 4-1-6 Dime Package Personnel. 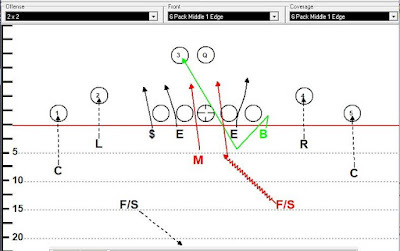 From this alignment, we can run all our 4-man stunts and twist, playing straight Cover 2 Man Under coverage. In our Dime package, we take out a LB and replace him with a FS. 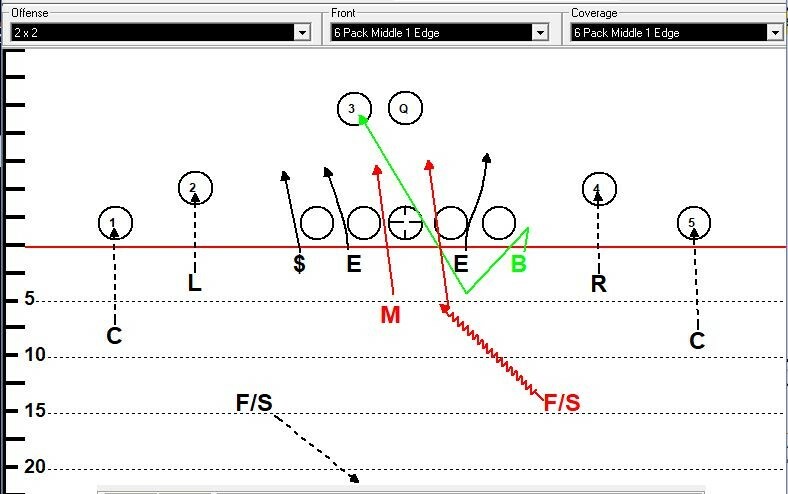 We play a basic Cover 2 Man Under Coverage. The CBs, Safeties, and Mike LB play straight man. No Banjoes and No checks. 2 deep Zones. 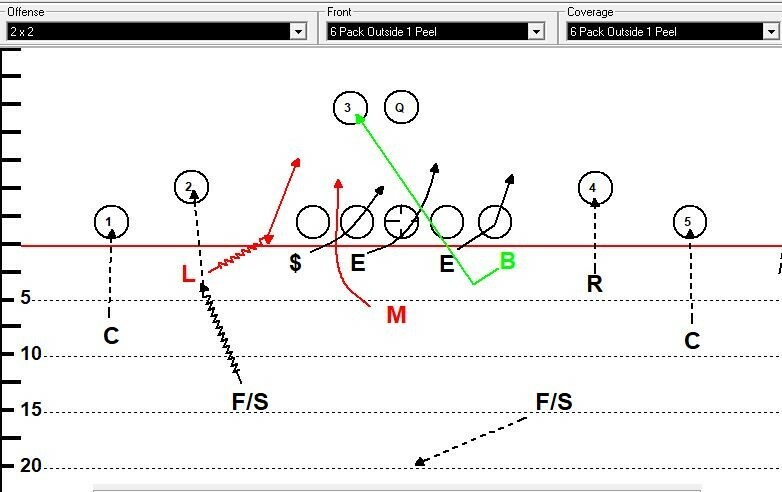 All the blitzes work off of this initial alignment. We play an even front. 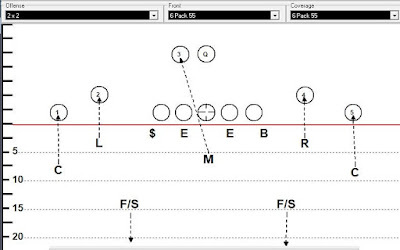 We tag the blitz side, for instance Field/Short, Back/Away or Strong/Weak. Here we have Back Outside 1 Peel. - Outside Blitz from the Tag Side = L and Mike from the Strong Side. - Left Safety comes off the edge and peels if the RB swings. - L/R travel to 3x1. Bump blitz to the inside L or R Safety. - Left Safety comes of the $am’s hip on the vertical rush. 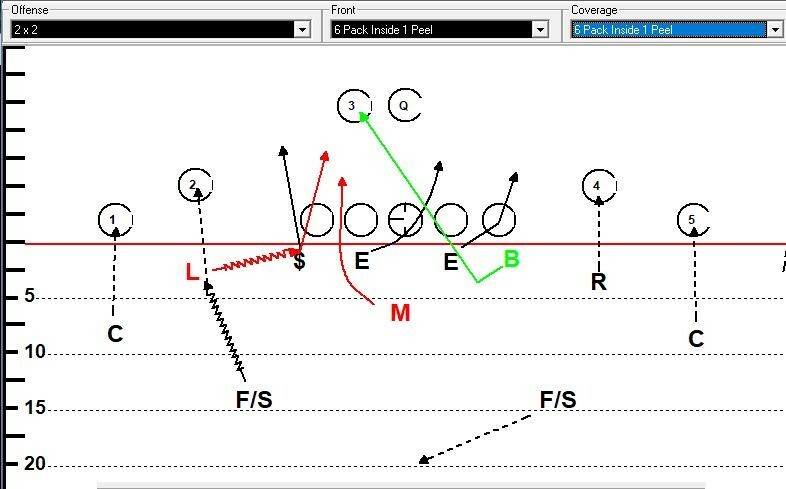 - Man coverage by CBs and L/R..
- Mike hits call side A Gap. 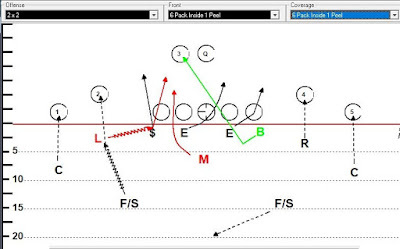 - F/S away from the call side blitzes other A Gap. This package is an easy 1 day install. We have run it successfully for the past 3 years. Great stuff from Coach Womack. If you have questions or want more info on what they are running down at Lakeshore be sure to follow Coach Womack on twitter @CoachCWomack.